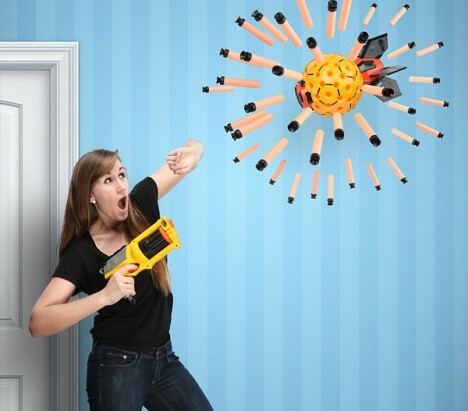 The ultimate weapon, a NERF gun to end all wars, this nuclear NERF bombshell fires off 80 devastating darts that will clear the room of hostiles. Or if you feel like waiting it out: you create your very own new interoffice cold war through mutually-assured destruction. 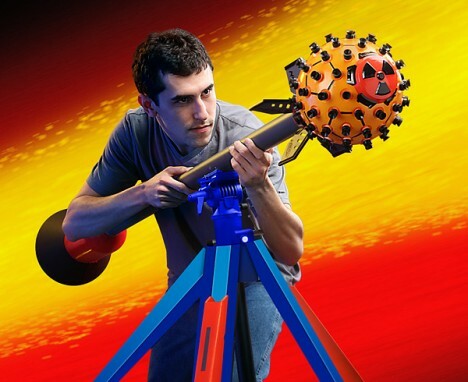 Trading distance for compactness, the reverse-plunger system still fires up to 30 feet, handheld, or 40 feet, tripod-mounted. 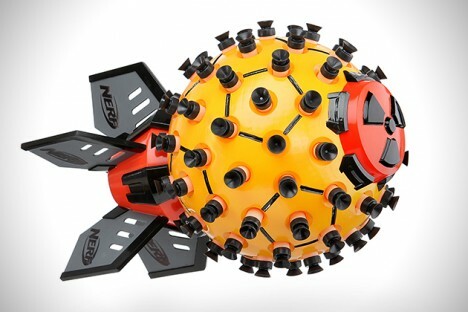 You will need to see this thing in action to believe it, and you can, thanks to ThinkGeek. See more in Gaming & Geek or under Gadgets. April, 2016.